Successful business owners fully understand that calculated and effective marketing is the key to their success during both good and bad economic times. Many business owners are finding it tough to adjust their marketing strategies to today’s current economic environment. Which is why they employ a marketing consultancy to assist with essential marketing requirements. The key to a thriving business requires professional marketing experience and knowledge that countless businesses don’t have in-house and need to outsource. 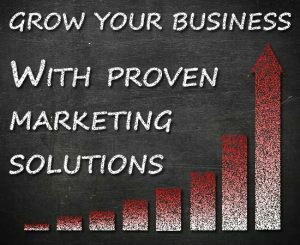 DLM Marketing is a very experienced business marketing consultants and we can give your business the help required to relink with your target market by promoting your products and services more efficiently. DLM Marketing consultants are trained professionals that can assist your business in by revising, generating and executing real marketing strategies to successfully promote your services or products. Whether your business is just starting out or has been trading for many years DLM Marketing’s experienced consultants will help you make the best decisions and optimise your return on your marketing budget. At DLM Marketing we will ensure that your marketing strategies will work for you and you will get short and long term results. How can a Marketing Consultancy help my businesses during a recession? Recession is a difficult time for most businesses as suddenly your customers aren’t as willing to part with their money as they used to be, plus your existing marketing campaigns may have become less effective. What is often needed is a fresh approach, but where to start? You don’t want to start risking your marketing budgets testing different strategies until you find the ones that work. This is where experience is vital only someone with true marketing expertise can accurately assess your current situation and suggest proven marketing solutions. Yes hiring a marketing consultant is an addition cost that needs to be carefully considered, but surviving a recession is about cutting unnecessary spending not all spending. A good consultant should pay for themselves by the new sales they bring to your business plus save money by making sure your marketing budgets are used correctly. Hiring a DLM marketing consultant can give your business valuable expertise and a fresh successful approach to your promotional efforts. No one can be an expert on everything and in business it’s important to recognise an individual’s strengths and weaknesses and use them accordingly. Marketing is a very specialist field you must seriously consider if you possess the required expertise to effectively market your business. If you don’t then a DLM Marketing consultant could be the right solution for you.